The likely government’s plans to boost spending and keep Monte dei Paschi state-owned break European rules. A revived economy, low rates and weak EU leadership give it a better hand than previous rebel Greece. And Europe needs to avoid a clash that could end the single currency. 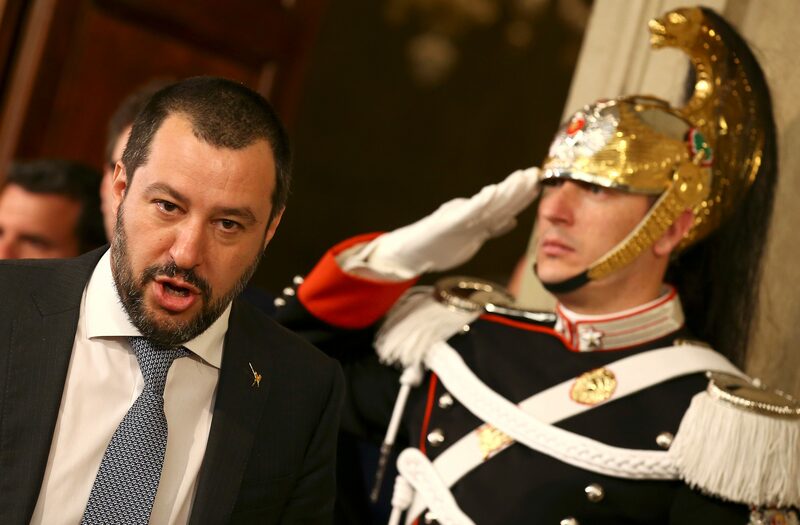 Italy’s anti-establishment 5-Star Movement and rightist League promised to ramp up spending and implement tax cuts in a government agenda agreed on May 18 that risks putting Italy on a collision course with other European Union countries. The parties, which emerged as the two biggest groups in parliament after an inconclusive March 4 national election, want to impose a flat tax, unpick pension reforms and loosen European restrictions on public investment. Italian economists and media estimate those policies will cost more than 100 billion euros. The 5-Star Movement said in its blog on Sunday that the new executive could save 70 billion euros per year through spending cuts and by eliminating certain tax subsidies. The agenda also includes plans to change the business model of Banca Monte dei Paschi di Siena to make it support the Italian economy. The bank, recently bailed out by the Italian government, is required by EU state aid rules to cut branches and be returned to private ownership. League economics spokesman Claudio Borghi told Reuters on May 17 that the two parties want to keep MPS in public ownership. The two parties also want to reform Europe’s immigration rules to ensure that other countries share more of the burden of recent immigration from Africa, and to change global bank capital standards. 5-Star leader Luigi di Maio and his League counterpart Matteo Salvini said on May 20 they had agreed on a prime minister to lead their agenda. He is likely to be unelected law professor Giuseppe Conte according to Italian newspapers Corriere della Sera and La Repubblica. The two party leaders will refer the candidate to President Sergio Mattarella on May 21. More than 90 percent of Italians participating in informal ballots conducted by the two parties gave their blessing to the policy agenda.